“R” for “rotation.” Irregular wear may be corrected simply by rotating tires. Refer to your vehicle owner’s manual for rotation recommendations (a good rule of thumb is to rotate every 5,000 miles/8,000 km). The type of rotation method used depends on the kind of vehicle you drive and the kinds of tires used (front-wheel vs. rear-wheel drive, conventional vs. steel-belted tires). “T” for “tread.” When do tires need replacing? Modern tires are designed with “wear bars” that appear when tread gets to the legal limit (two-sixteenths of an inch). 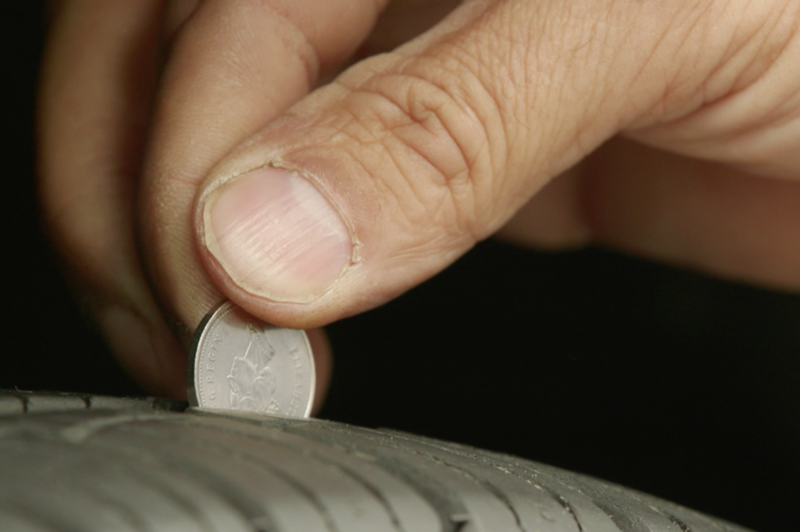 Michelin also recommends the Canadian Coin Test: Insert a Canadian nickel (head pointing down) between the treads. If tread covers the top of the figurehead, there's enough tread on the tire. If it doesn't, you need new tires.